Travel reward cards remain the most popular credit card of choice, according to a 2016 survey by MarketSense Inc. But could the tide be changing? For the first time since the company started tracking data in 2006, there has been a significant decrease in the proportion of cardholders carrying a card with travel rewards (43%/-3). At the same time, the market research company is witnessing an increased interest in cashback credit cards, now carried by 29 per cent of cardholders (up from 27 per cent). Increasing frustration with the travel rewards category is likely fuelling this growth in the cashback category, which provides cardholders with a very straightforward value proposition. By the way, according to MarketSense’s CardSense survey, retailer reward cards are carried by a third (36 per cent) but are often a secondary card in the wallet. Today, Air Canada said they are launching a search for a new loyalty reward partner at a time when the stats from MarketSense suggest the intentions to continue collecting Aeroplan points are down significantly this year for both coalition programs AIR MILES (57 per cent very likely – 10), Aeroplan, (38 per cent very likely -8). “It is early days yet with respect to Air Canada’s program and it is likely many collectors are adopting a wait-and-see attitude before deciding what to do,” said Lynda Lovett, partner at MarketSense. But you have to wonder if the disruption in this business leaves a nasty aftertaste with consumers. The Savvy Collectors (27 per cent) are the most likely to change their behaviour to earn rewards points and optimize card usage and program membership to accumulate rewards. The Smart Affluent (16 per cent) are also focused on rewards but do not change where they shop in order to earn rewards. This group has high spending levels and can benefit from this in terms of the rewards they collect. The Overburdened are attracted to everything and hence have very fat wallets full of credit cards and reward programs. The result is a very disorganized pattern of spending and a lack of focus when collecting rewards. The Credit Challenged (15 per cent) and Prudent Users (nine per cent). These two segments are less engaged in rewards. This segmentation is actually quite fascinating and has been very stable. Great tool for marketers in terms of developing messaging to resonate at an emotional level with cardholders since it is based on attitudes. 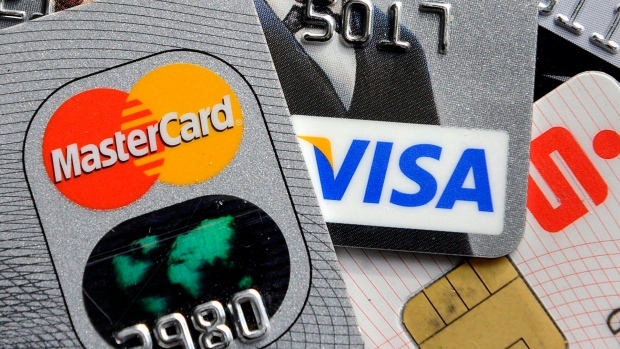 Pattie Lovett-Reid: Are your adult children a financial drain?